Don’t miss out on @b8ta retail’s biggest promotion of the year and save 20% on all products, including HYDRAO. 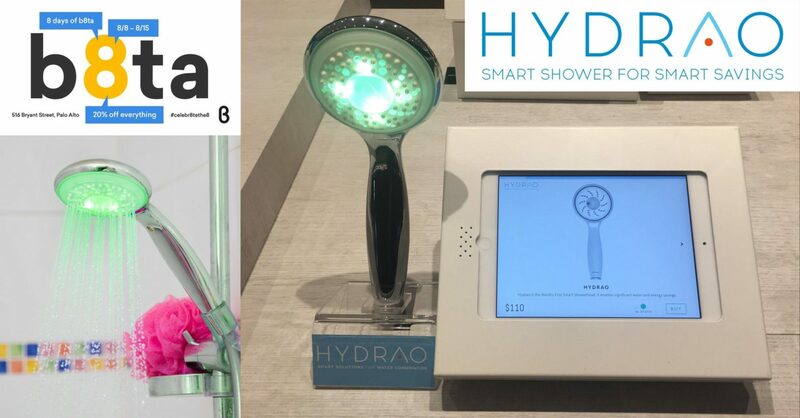 HYDRAO is the world’s first smart showerhead that enables significant water AND energy savings. Hurry, 8 days of b8ta won’t last long. Shop online (https://lnkd.in/dSnxBnx) or in-store 8/8 through 8/15.